Last week teasers appeared on the internet showing a Nokia phone with a punch-hole display and the backside of the rumored penta-lens Nokia 9 PureView. These teasers, even though they are well made and fit the standard Nokia HMD typography might’ve been just fan creations, as pocket-lint that contacted HMD say. Today, the company started sending out official invitations for their 24th February event in Barcelona. 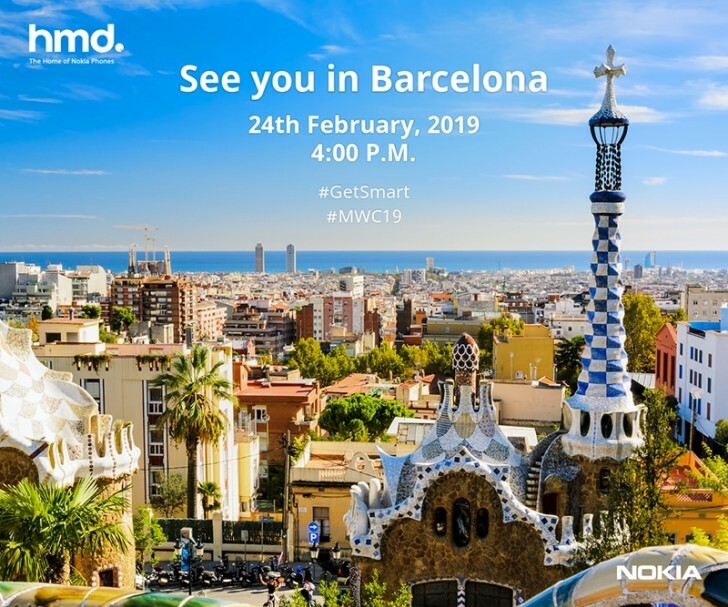 The event will be held a day before MWC2019 kicks off at 4pm local time (UTC+1). On the invitation we can see the sea, a church and I think cranes on the famous Sagrada Familia cathedral. Anyways, the event will start at 4pm local time and a livestream will be available. The official hashtag for this event is #GetSmart, if you’re willing to follow the action on Twitter ;).